Inktober 2018 round up part two (aka the finale because I quit at 10, ha!). Check out my first post to find out what Inktober is and to see my first 6. Onwards to 7! This prompt from Kelly Brown’s list immediately brought the ever tortured Remus Lupin from the Harry Potter world to mind. In the books, he was such a rich character that kind of got lost in the films, no hate on the films though! There was a lot of world to get in there and I think they do the books justice. Especially in the case of Umbridge, they managed to make her as despicable as she was in the books! I digress. 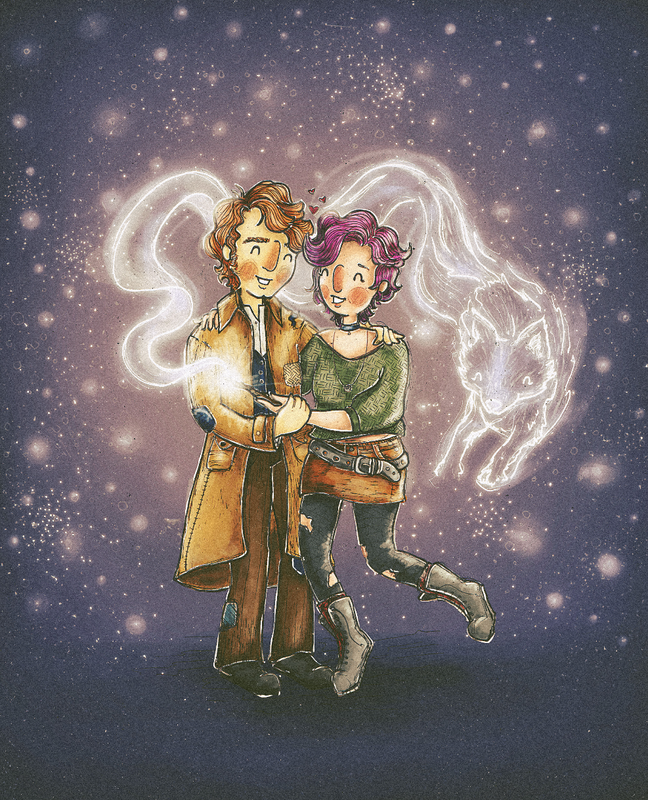 Remus had this beautiful love story with Nymphadora Tonks (Tonks for short) that ended up being for me, one of the saddest tragedies of the series. They finally found love and it ended so abruptly leaving a sweet lil one behind. What is this Game of Thrones?! Sigh. This one is dedicated to their happy times, to finally letting goof old hurts and jumping in head first. <3 Brb sobbing. One of my faves of my Harry Potter series. I just love this pair. I put some of the tips I got from Dani Ellis during a speaker session in my Illustration class to work. She’s amazing, check out her work! Allons’y! I’m gonna try not to fan girl too hard on this one, because I mean…OH MANNN DAVID TENNANT AHHH!!! 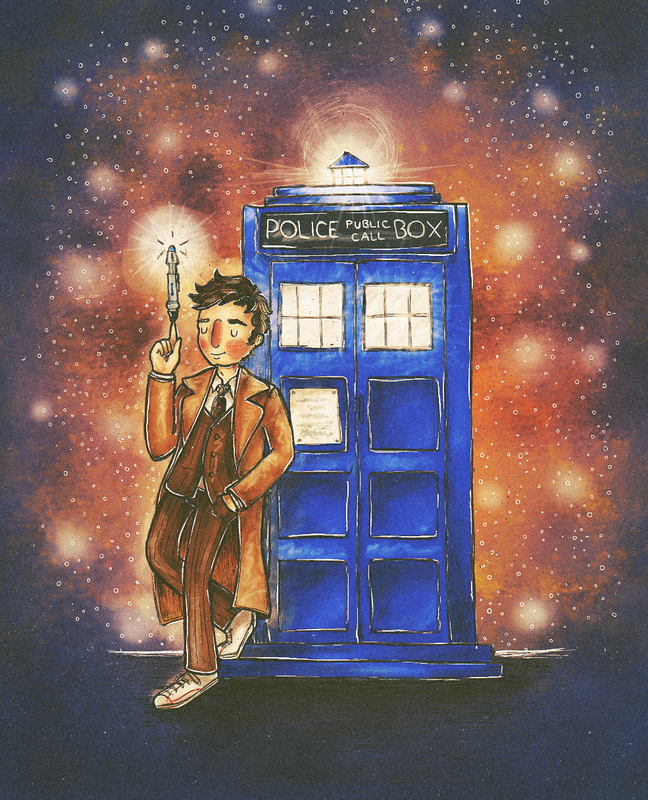 I mean…yeah, David Tennant as the 10th doctor. Fave alien. Fave doctor. Fave. I do eventually have a fondness for the other doctors after I’ve gotten used to them, but his run was incredible. Some of the best episodes and so much passion for the role. My fave Tennant episode has to be Silence in the Library/Forest of the Dead most likely because of the dynamic between River Song and the doctor. Spoilers! I had to include Donna in this one. She was one of my favourite companions but she got a raw deal in the end. You’ll have to watch for yourself! I do love Rose and also Rory…but Donna was the best. She called him on his sh*t and was so so funny! Her character reminds me of my hilarious big sister though, so maybe I’m biased. How long are captions supposed to be? I’ve started painting this one but have admittedly hit a road block! It’s missing something, I think in the colours, and I can’t quite get it right just yet. So here it is, a work in progress. Any constructive criticism? Prompt from Debbie Bahrt’s list. Love her sweet style. This is my last Inktober piece of 2018 and it’s near and dear to my heart: Anne of Green Gables. I remember first reading this when I was a young girl and I could relate so closely to how she escaped real life in her imagination because I did the same. It’s what first led me to my love of reading and I still to this day love to cozy up with a new book, especially a huge one with tons of details. For this piece I wanted to show the first moment she sees Green Gables and finally feels like she has a home. Anne of Green Gables reminds me of my little sister whom my parents adopted officially last year. She’s been with us since she was just a tiny little 3 year old. She hardly spoke and threw wicked tantrums but my mom + step dad helped her along and now she’s a rambunctious 8 year old who can still pitch a spectacular fit but is also a total sweet heart. Love that kid. That about covers it for my Inktober 2018 pieces, I’ll be updating more as I complete colouring each piece, so stay tuned. Really looking forward to digging in over the Christmas break! Next year I’ll again start the challenge filled with hope + optimism…only to quit as soon as I pass my current record of 10. Maybe, just maybe, 2019 is the year to get it done! Until next year Inktober! For the past few years, I’ve tried picking away at the annual Inktober challenge. What is Inktober? My current record was 7 and this year I made it all the way to 11, where I promptly quit to begin painting them all! While I haven’t quite finished painting them I wanted to share my progress and a bit more about each piece. Here we go! I couldn’t decide on a single prompts like so I picked and chose from a couple different ones. Day one’s prompt ‘Nymph’ came from Camille Reck’s list. I decided to go with a leafy wood nymph because I was working on the poster for the Square Foot Show at the time and the theme was ‘foliage,’ it really stuck in my head! I was inspired by the podcast Myths & Legends for this one. She is a truly misunderstood Greek mythical figure and to be honest, if I went through everything she did, I would probably turn jerks trying to kill me into stone too. I think I might have to delve into a few more bits of Greek mythology after having so much fun with this one! I was a bit liberal with the idea of ghost for day three. I used it to tell the story of my imaginary friend when I was a kid. This was one of my mom’s favourite stories to tell and it sounds kinda dicey but in all honesty it’s one of mine too. To keep it short, I had an ‘angel in my pocket,’ no doubt inspired by the super 80s song about exactly that. She was my best pal but one day when I was being a total brat (admittedly I could be one! ), my mom spanked me (cool your jets judgers!) and SQUISHED MY ANGEL! Kids have the most adorable ideas. I hope I don’t squish my sons angel! Sounds so awful. This prompt is from @elyrain’s prompt list. 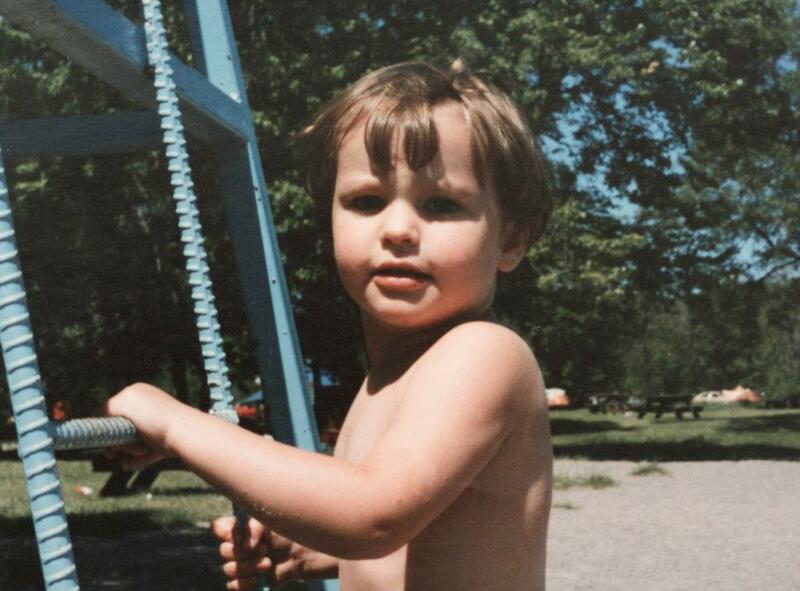 BONUS: tiny Tracy rocking the mush cut! No explanation needed but I will anyway. I first saw Bram Stoker’s Dracula in the height of my Keanu Reeve’s obsession. While I still have a soft spot for that bus rescuing, phone booth time travelling Hollywood nice guy…I can now appreciate the glory that is Gary Oldman in this film as well. Another prompt from Camille Reck. Maleficent, what can you say about a witch icon? As a kid I always thought she was this terrifying evil creature, but I started to see things a bit differently as I got older. Firstly, Maleficent, fashion on point. Secondly, who doesn’t invite people to parties? Jerks, that’s who. I’d be pissed too…maybe not ‘curse a baby’ pissed, but at least ‘turn into a fierce af dragon and wreak some havoc’ pissed. That said, I tried to draw her as a dragon in the background. HA! best get to practicing ‘cause it was a hot mess. Prompt from Kelsey Buzzell’s awesome witch inspired list. I am extra attached to this one because I sketched it really quickly in a quiet moment during my little sister’s labour. I even used a nurses pencil and some random paper she found! Can I just say, if you ever need someone to help push out a baby, I’m that girl! That was ah-mazing to experience (thanks Jessy)! Anyways, my idea here was my son Wolfe howling a welcome to the new baby Luna. So in love with this babe already! Take a peek at the full colour version below. Prompt from Nikki aka @namcodraws on Instagram. I LOVE this person’s style and use of colour. Portrait me please! Stay tuned for the final 5 Inktober illustrations in my next post. Next year, I’ll have to beat my current record of 11 and maybe I’ll even make my own prompt list!